Maintenance free batteries never require maintenance. It is important to remember that during the warmer months of the year, the water in the electrolyte is lost and can also be lost due to excessive charging voltage or charging currents. For cars running permanently in hotter climates, non-sealed batteries are recommended so distilled water can be added when needed. All batteries require that they are charged properly. Non-sealed batteries are recommended in hot climates so they can be refilled with distilled water when this occurs. Storing a battery on a concrete floor will discharge them. This was true when battery cases were made out of wood, that were somewhat porous, when stored on concrete an electrical current could be conducted through the container and the moist concrete floor permitted the current to find an electrical ground. The new battery cases are made of polypropylene or hard rubber and no longer have this problem. The fact is that all batteries self-discharge while they are sitting on the shelf or concrete. How fast self-discharge occurs is dependent on the type of battery. AGM batteries have a lower self-discharge rate than conventional batteries. Flooded, AGM, and GEL batteries are the same. AGM, GEL, and Flooded are different varieties of lead acid batteries. Flooded batteries are the most common ones and built for different uses, but mechanically they are the weakest batteries. Gel cells use a thickening agent like fumed silica to immobilize the electrolyte. AGM cells are the latest step in the evolution of lead-acid batteries. 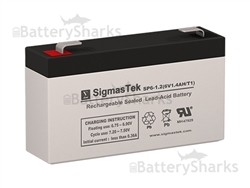 Unlike Flooded batteries, AGM’s are sealed and cannot be re-filled with electrolyte. AGM uses a fiberglass technology like separator to hold the electrolyte in place. The physical bond between the separator fibers, the lead plates, and the container make AGMs spill-proof and the most vibration and impact resistant lead-acid batteries available today. Gel batteries are also sealed like AGM. What distinguishes GEL from AGM is that they use a silica material to turn the Sulphur acid into a jelly like substance. You can use any battery charger to charge AGM batteries. Despite the fact that AGM and GEL batteries have the same basic components, they have different chemical structures than flooded lead acid batteries. 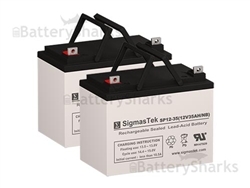 Normal battery charger can’t be used to charge an AGM or GEL battery, because they are designed to be charged slow and low, and overcharging can kill those batteries. 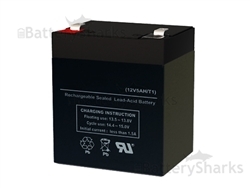 Also, AGM battery is not the same as a gel battery as it has different charging requirements. If you use the gel setting to charge an AGM battery, it won’t fully charge and, over time, it could actually damage your AGM battery. Lead-acid batteries have “memory effect”. Lead-acid batteries do not develop any type of “memory effect”, however, continuous undercharging will lower the capacity of the battery. Deep discharges can also damage starting batteries or can shorten their lives. Memory effect occurs primarily in Ni-Cd batteries, and recently a memory effect was observed in Li-Ion batteries too. Sealed lead batteries do not need to be fully discharged and charged to maintain them in optimum condition.